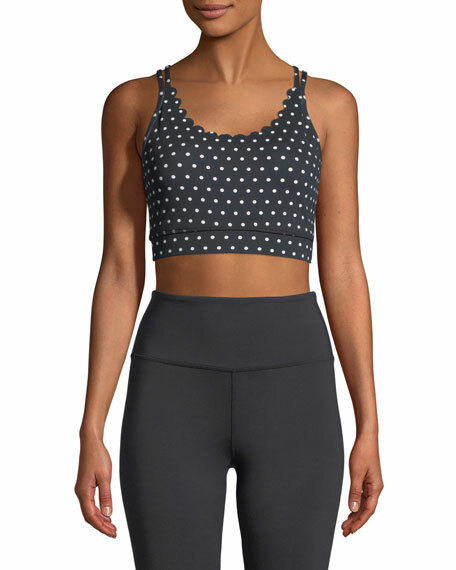 kate spade new york polka-dot jersey sports bra. Provides moderate support for medium-impact activities such as cycling, dancing, and skiing. Thin straps cross at back. For in-store inquiries, use sku #2527477.